When PUBG Corp. decided to finally get the ball rolling with the regional pro leagues it promised back at the PUBG Global Invitational last year, a number of organisations dropped out before they could even have chance to qualify – something I explored in the midst of the chaos. One of the organisations that decided to part ways with its roster was Dignitas, leaving PurdyKurty, Adam, aLOW, Uncivil, and coach Didz without financial or organisational support. Despite this shock, the team stuck together and revived a brand that some of the members once used: Shoot To Kill. Under that guise, the roster was invited to compete in the National PUBG League Preseason – the precursor to PUBG’s official North American competition. Showing up in a strong fashion, Shoot To Kill finished in 11th place and booked their spot in Phase 1 of the NPL. Sounds great, right? Well they had to relocate to Los Angeles to compete in the inaugural season of the competition and that’s certainly not cheap. Nonetheless, they stuck it out, headed to the City of Angels, and put on an impressive showing throughout the five weeks of play in the league. 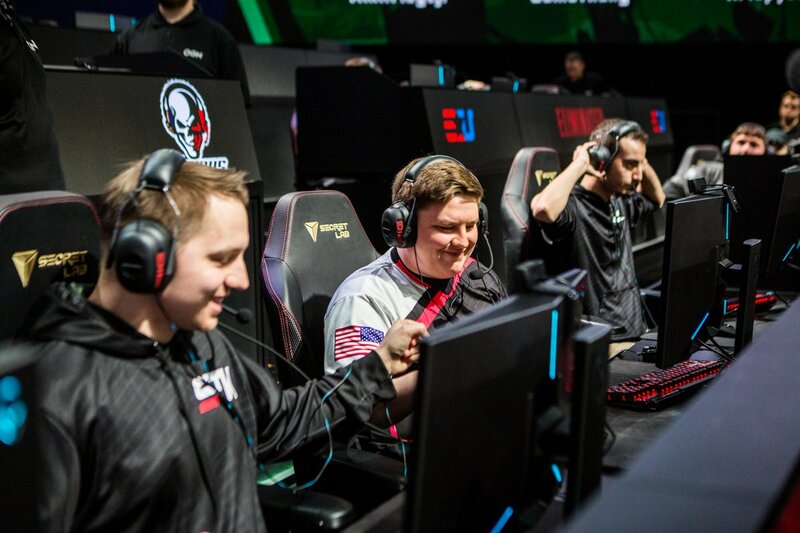 Finishing in a solid fourth place – only falling behind signed teams Tempo Storm, Cloud9, and Team Envy – this resilient bunch booked their spot in the FACEIT Global Summit: PUBG Classic, the first global event of the season based in London, England. 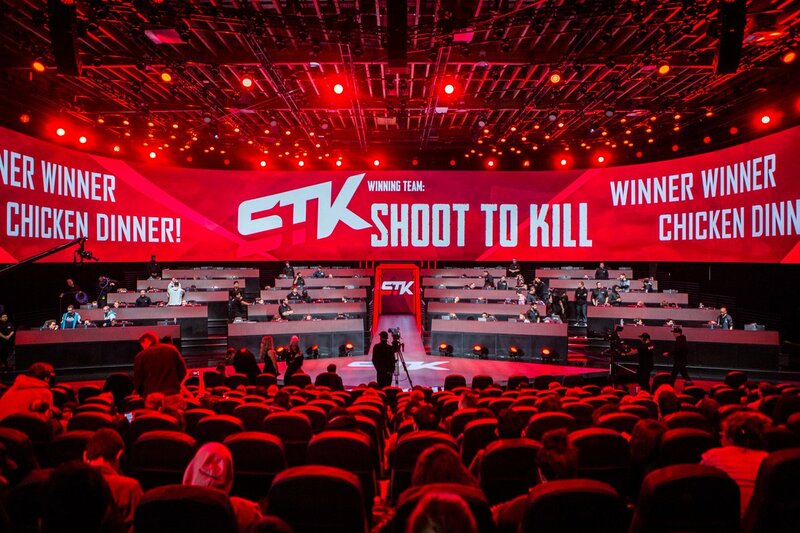 Now we’re just weeks away from Shoot To Kill performing on a global stage against 23 of the best teams in the nine professional PUBG regions, yet they’re still unsigned. 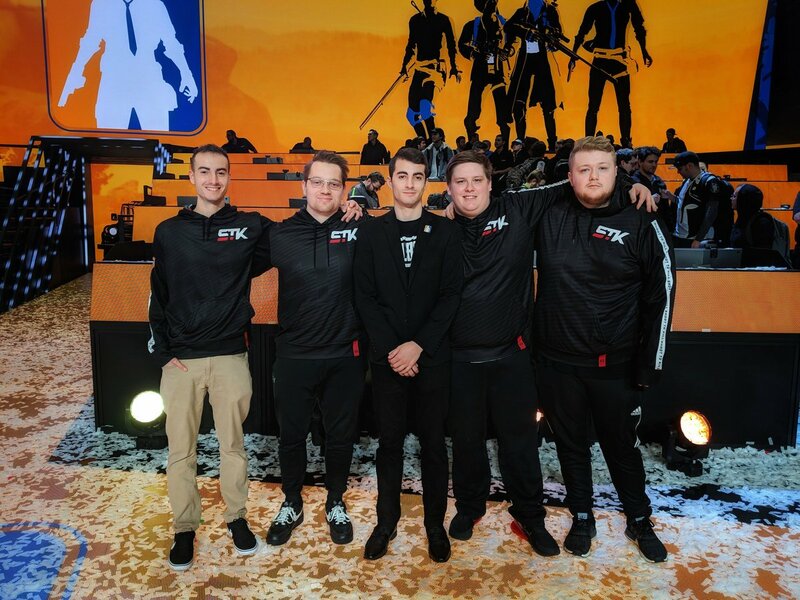 To peel back the curtain on the highs, lows, triumphs, and struggles of being North America’s top unsigned team in PUBG, we spoke to their coach, Dylan “Didz” Didiano. How has it been competing in the NPL without the backing of an organisation? When we first got news that we would no longer be representing Dignitas, just days before flying to LA to compete in the NPL Preseason, we didn’t really know what to feel. After a few hours of talking about possible next steps, we came to the conclusion that it actually might be a good thing for us considering we expected to continue to be one of the top teams going into the Preseason and once we qualified for Phase 1, we would have many options. We qualified as expected, but we didn’t really see a spark of interest levels from top tier organisations that we would have wanted to sign with due to the fact that PUBG Corp. wasn’t offering any revenue share until Phase 2. We decided to bet on ourselves and went into Phase 1 as an unsigned team continuing to use the name “Shoot To Kill”. We updated our logo to look more professional and we worked with Sector Six Apparel to introduce new jerseys and pro hoodies. We then continued to focus on our goals trying to become the best team we could and making a global event. Relying on our savings to pay for any expenses we might have during the phase was something that I’m sure was on all our minds, but we supported each other and made sure to make smart decisions when spending. Some of us had bills to pay at home while living in LA, so not having any sort of cash flow was more mentally taxing. We made sure to keep reassuring ourselves that our hard work and risk would be worth it in the long run. At the beginning of the season, we often got overshadowed by the teams with big brands behind them. We would perform consistently and would get limited exposure. However, as the season went on, people started to notice that we were a top team and we started getting recognition for it on broadcast and from external media sources. You proved yourselves as the top unsigned team in North America, did you expect to perform so well in the first phase? We are a team that has always set multiple goals. We create individual goals and team goals. Our team goals are separated into achievable goals (short term) and unreachable goals (unreachable in the sense that they are long term goals that will keep changing to something more and more ambitious as we reach them). One of our short term goals was to prove ourselves as the top unsigned team in the NPL. Another one was to make a global event. We accomplished both in the first phase. Qualifying to London was a huge deal for us. In order to reach those goals, we had to expect them to be achievable. Without that mentality, we would have come up short. And it was extremely close, coming down to the final game and a 2-point gap, we almost failed to reach both goals. If Why Tempt Fate had tied us in overall points (2 more points) they would have won the tiebreaker by having had more kills, taking both of our goals away from us. What was the biggest challenge as an unsigned team throughout Phase 1? What does it mean to you to have qualified for the first Global PUBG event? Qualifying to London was a huge deal for us. I remember listening to the comms during the final game when Why Tempt Fate could have taken our spot and the guys were just sitting there watching, no longer having any say in the outcome. All they kept saying was “please, someone eliminate them”, “how many points do they need?”, “someone do the math.”. I don’t think they have ever felt so much emotion in their gaming career. Uncivil jokingly said that he aged to his actual age, which is 25 (the joke is that he looks much younger than that, especially not having any facial hair). I was sitting right next to Ghost Gaming’s coach watching and praying that his team would eliminate Why Tempt Fate. They ended up doing just that and my stomach never felt better when I realised that we had held on just enough. Being in London for the FACEIT Global Summit: PUBG Classic is going to be huge, especially with our team being unsigned. The exposure we will gain from this event will be unprecedented. Not only that, but we have opened a door to a new opportunity to prove ourselves against the world’s best while representing North America. It will be nice to come back from London and sort of know where we stand on a global scale. Our goal is going to be to win the event, as I’m sure it is for every other team attending. But regardless of the outcome, we will learn a great deal from the event and it will only make us a better team going into Phase 2 of NPL. What are you looking for in an organisation? We’ve spent a great deal of time talking about this among ourselves, especially since we’ve been so patient. We had many opportunities thus far to just sign a contract and get paid. However, we waited because we didn’t want just any contract, we wanted the best opportunity we could get. As the top unsigned team in North America, and potentially the world, everybody will be looking to see who we bring into PUBG esports and we feel like that means something not only for us, but for the whole scene. Bringing in a big player is important to us, but at the same time, there are so many other factors. Salary is something that is, of course, important in any business deal; so that’s the first thing we look at. Then we look at the organisation, it’s ownership, management, history and ideologies. I’ve instilled a mentality into the guys that aligns very closely to the way Astralis is doing things. They were a team that built things from the ground up, coming from one of the world’s biggest esports brands, Team SoloMid, they went and did their own thing and now they have become the world’s best CS:GO team. It is my belief that they would not be where they are today without their support staff and upper management. They have a strong foundation of leaders over there and have staff in all aspects of performance development. They have a strong focus on psychology, nutrition, fitness, sleep, sports science, and more. These are things that we believe are important in top level esports and the organisations that are pushing these boundaries will be able to take their current teams and develop them into top contenders and world champions. Who knows, if we are able to find the right investor(s), we might even be willing to go down the same path Astralis did, keeping the name Shoot To Kill. It is something we are open to.